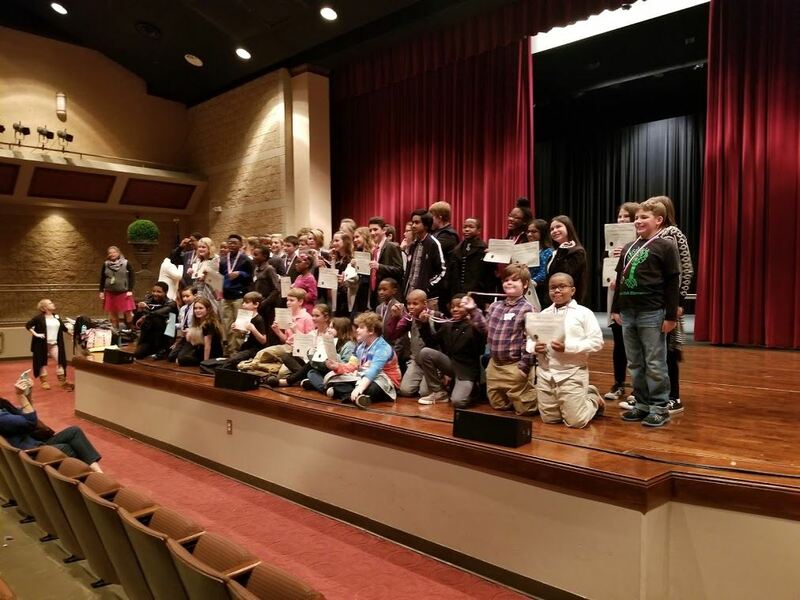 The Georgia Student Technology Competition is a first for students at Spring Hill Elementary School. In the future, the spread of those that will be involved will expand. 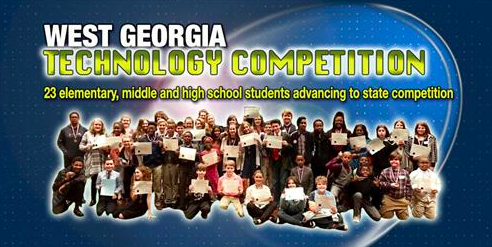 In 2018, six students accepted the challenge to be part of the West Georgia Technology Competition which opened the door for state competition in March. 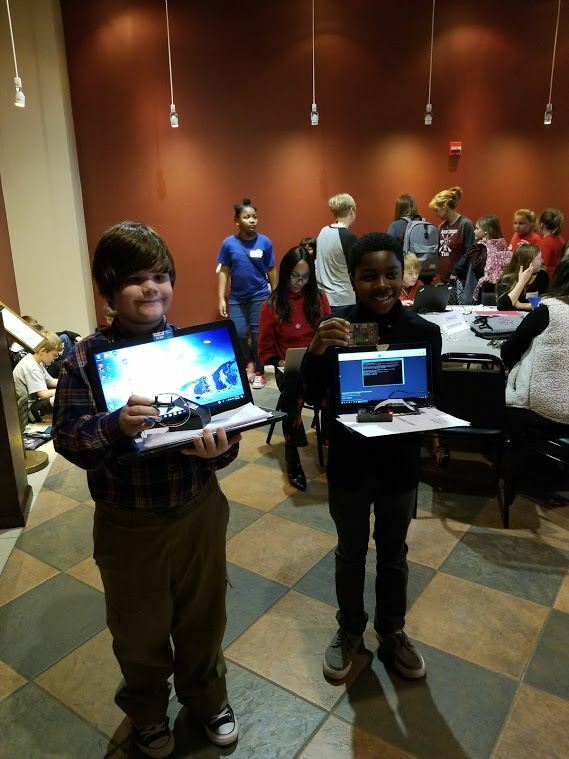 While being ambassadors, the students competed in Device Modification, Productivity Design, and Video Production. The preparation phase placed them in a position of introducing the potential that other students have and in what they can accomplish. The steps they took will open doors for many more students in the future. 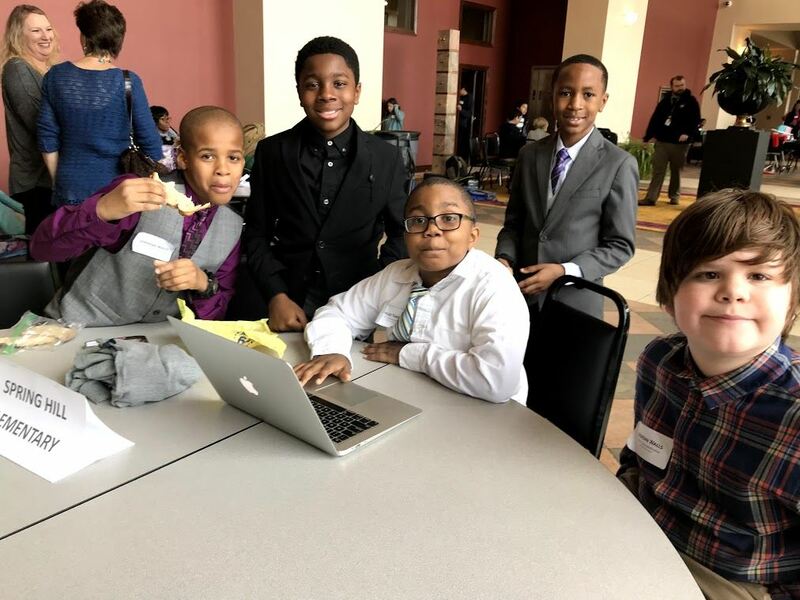 A benefit that these competitions have is that students cross over the boundaries of their own school and connect with those working on similar projects, having interests like theirs, and learning about new tools and design models that they can use in the future. These conversations occurred throughout the day. Additionally, feedback from adults interested in their projects and helping them move forward with interviews, public speaking, how they present themselves to others, and anticipating challenges were all around them. 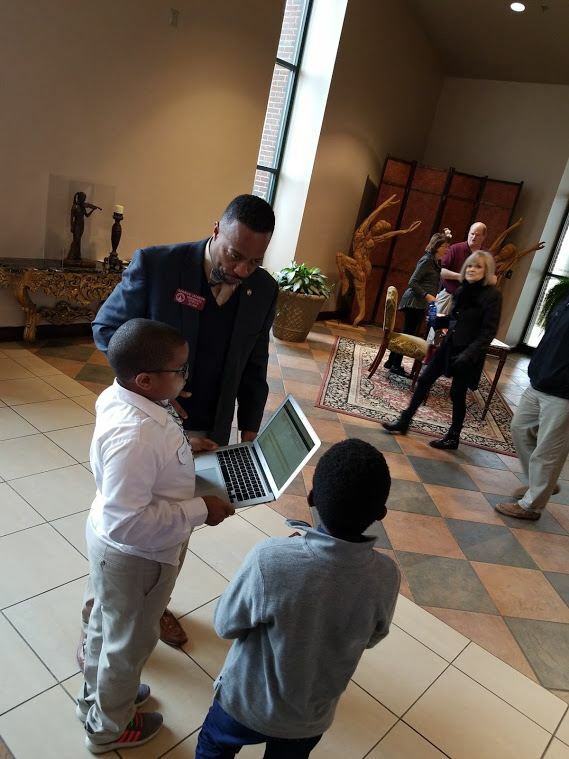 Here, Derrick Jackson, Representative from District 64, is present and available to help the students take on the challenge before them. 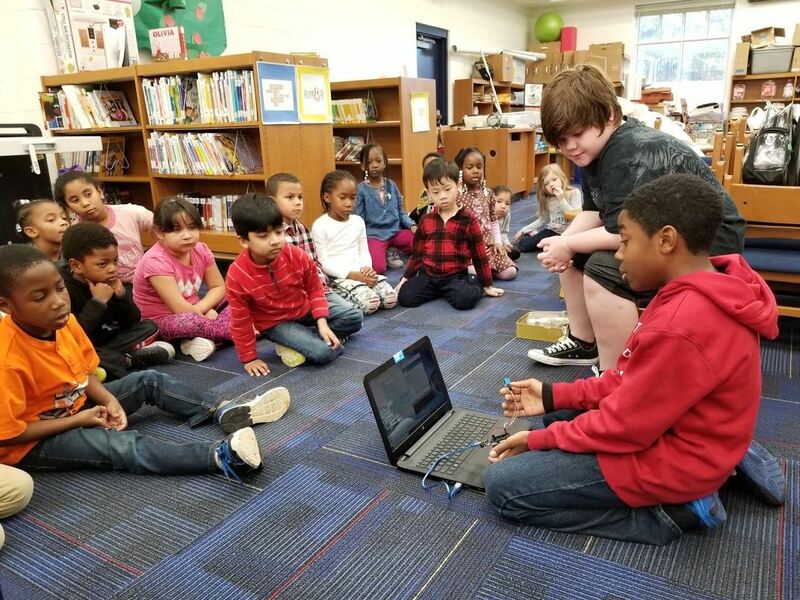 The students had fun hanging out and met others in their own school that they did not typically have an opportunity to connect with. 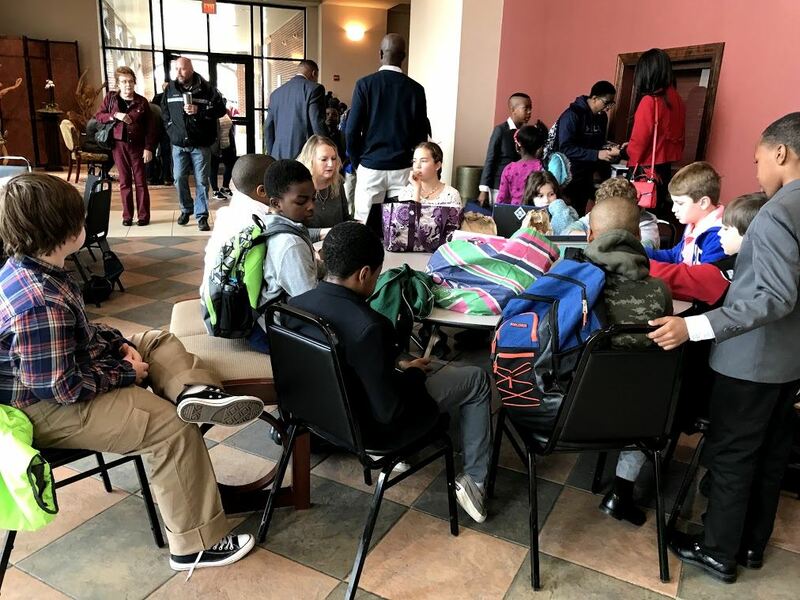 Relationships are important and reaching out of the boundaries that the structure that the school schedule creates through grade levels and subject areas is a guiding principle that has great benefit. The students at time were nervous but, on several occasions, they repeated what Mrs. Martindale has reminded them about being nervous. “If you are nervous, that means you care about what you are doing. It is okay to be nervous”, was the encouragement that they walked into the judges with. When we were riding the bus over, Mrs. Fawaz shared an encouraging voice message with the students. They were winners because they were present, took on the challenge, and showed up. They prepared as much as they could and were going into this experience with a great degree of the unknown. Well, the unknown was quite a celebratory experience. As ambassadors, they students reached achievements that they can now share as guides to others in the coming years. A big thanks to CTO Jim Farmer for pushing the opportunity forward and introducing the students to a challenge worth taking on. We are off to the state competition where more opportunities exist to grow in knowledge and leadership while having a whole lot of fun learning in the process. So proud of these talented students for taking on this challenge with such passion. I am excited for the growth we will see in participation at Spring Hill. Thank you Mr. Eller for your leadership and passion! I can’t wait to come by and visit the students as they prepare for the championship event. Best of luck and congratulations to all of the participants.